These days a car is practically part of an Australian’s basic needs. You use it every day to go to work, bring the kids to school, run your errands, meet with friends and so much more. When you own something that is that valuable to know, it only makes sense for you to give it the utmost care. Unfortunately, some people don’t go beyond just filling the tank and getting a car wash.
Little tune-ups every so often are required, even when nothing is broken yet, to make sure that you don’t end up with a flurry of unnecessary and expensive repairs in the future. When was the last time you go an oil change? Do you do it too frequently or infrequently? You might have heard from your parents that you should change oil every 3,000 miles. While this was sound advice once upon a time, this hasn’t been true for most cars bought in the last seven or eight years. Engine technology and oil chemistry have improved since then to the point that your vehicle can go a few thousand more miles before you need to change the oil. If your car is less than a decade old, you’ll be good with oil changes every 7.500 to 10,000 miles. 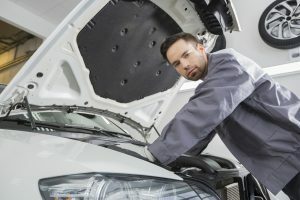 There’s more to your car maintenance than just changing the oil. It’s time for you to learn how to keep a maintenance log to keep you from performing unnecessary repairs and help you troubleshoot your car better. Speaking of keeping a maintenance log, your friendly neighbourhood mechanic should be able to help you create one. Every fix done should be noted in your maintenance log. When you first meet the mechanic, test the shop’s services by having him/her do smaller jobs. This way you can get a feel for whether or not they’re competent enough or if you would trust them enough with the inevitable bigger jobs on your vehicle. If you have any car-nut friends — the kind whose cars always seem to be sparkling and in mint condition — ask them for their recommendations for the best repair shops around. They’ll probably be able to give you obsessively detailed reports on Who’s Hot and Who’s Not in the repair and panel shop industry. Don’t freak out, I understand that it takes some mad skills (and a lot of practice) to be able to change your own car oil or radiator fluid. However, checking for them is fairly simple. It’s one of those MUST-HAVE skills to make things simpler when you bring your vehicle to the auto shop. If you know what to look for under the hood, your trip there is going to be faster and smoother, and you’re less likely to be duped by unscrupulous personalities who want to make a quick buck at your expense. Know how to check your tyre pressure! If you under-inflate these babies, at best you’re going to need to buy a new one sooner rather than later. At worst, you can cause an accident resulting to hundreds or thousands of dollars in damages to your vehicle and others’. Safety first. Inflate your tyres properly. 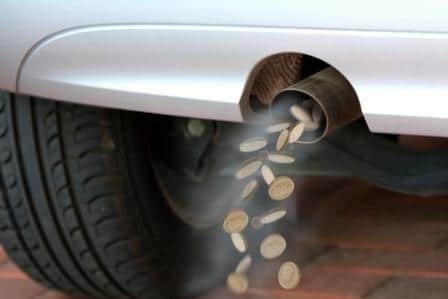 FUN FACT: Did you know that, apart from repairs, properly inflated tyres also save you money by improving your gas mileage? When your budget is tight and you don’t have much wiggle room for incidental expenses, you need to make sure that your car is in tip-top shape to avoid spending more than necessary for this daily necessity. Remember that a reliable car is a cost-saving one. 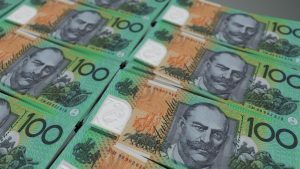 If you’re still in the hunt for a safe and reliable car that will be easy on your cash flow, apply for car finance in Sydney, Melbourne, Brisbane, Gold Coast, Sunshine Coast, and Adelaide with Alpha!